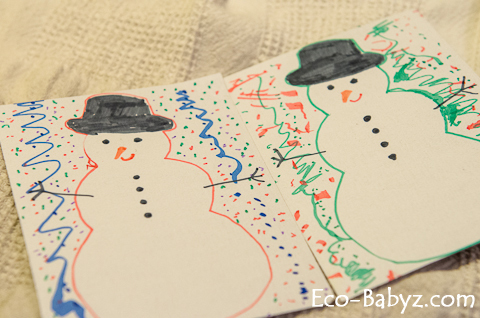 Yesterday we made fun little cards with Baby E and Baby T. The idea was mine, and of course they needed some help, but Baby E pretty much executed it on her own, I just put on the finishing touches at the end with the snowman's face. It's nothing special and as it always is for us - it's about creating and spending time with them, not about the finished product! 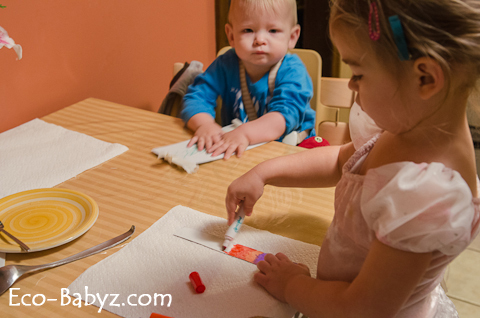 Crafts with my little ones are hit or miss. Every time we decide to do something I walk away with this thought "They enjoy watching me crafting more than partaking themselves!" If you want to try this, all you need is some cardboard, scissors, markers or paint, tape, and patience. 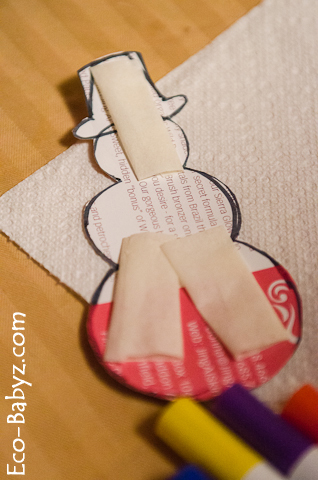 Cut out a snowman shape, I just doodled one on a random piece of mail. Attach tape loops on the back and stick him onto cardboard rectangle. 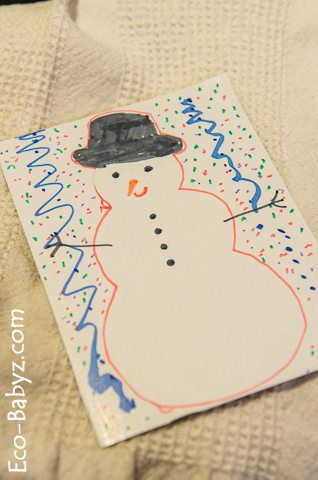 Then let the kids go wild drawing and painting all around this snowman. Then just remove the snowman and draw his face and details. As you may notice, we like our crafts just like our recipes - EASY! We even did it with a 1 year old who just wants to make messes and needs a lot of attention. He tried to get in the way and he had his first doodling sessions with [thankfully] washable (!) markers. 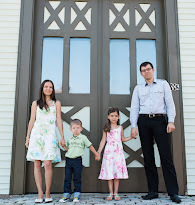 I scheduled this post in and while you are reading it I am enjoying a 'work-free' weekend with my husband and kids. Have a wonderful Christmas and holidays, enjoy your family time and don't eat too much! 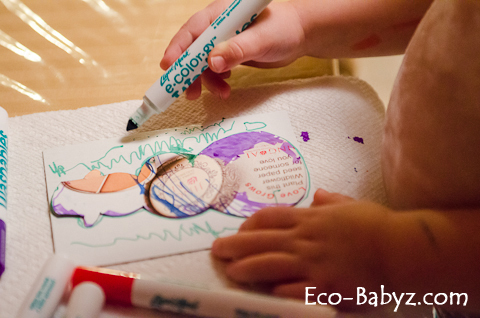 What easy crafts do you like to do with kids over the holidays?